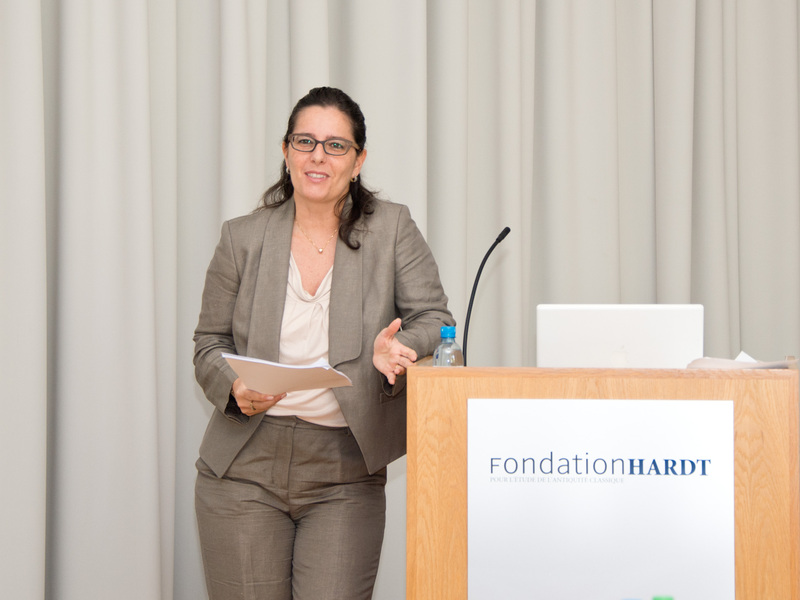 From August 19 to 23, 2013 the Fondation Hardt pour l’étude de l’Antiquité Classique in Geneva hosted the 60th Entretiens sur l’Antiquité classique on the theme ‘The Garden in Antiquity,’ organized by Kathleen Coleman. Papers covered different historical periods, starting with the gardens of ancient Mesopotamia and ending with the early Christian period. 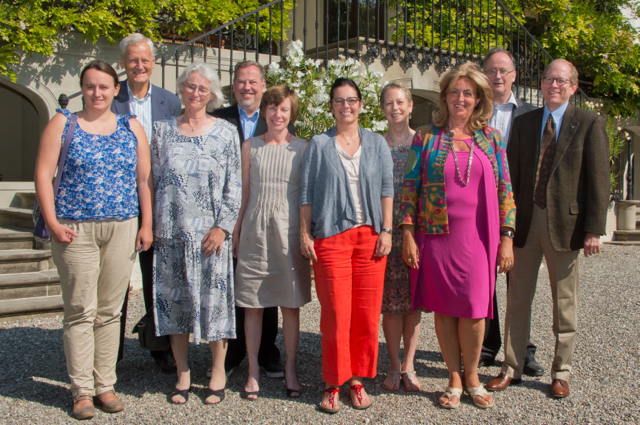 Prof. Marzano was part of the lucky group of invited speakers who could enjoy the Fondation’s superb hospitality, the villa’s fine grounds, and, last but not least, the cook Heidi’s excellent dishes. She spoke on ‘Roman gardens, military conquests, and elite self-representation’, exploring the reasons behind ‘botanical imperialism’, such as the case of general Lucullus introducing into Italy the sour cherry tree from Pontos, and elite interest in grafting (according to Pliny, even someone like Pompey the Great had time to graft a new variety of fig tree). The event was very successful and now the volume is being prepared for publication in 2014. 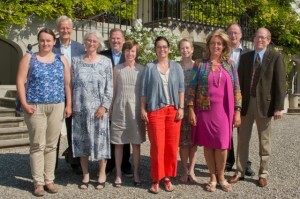 The speakers of the 60th Entretiens and organizers, from left to right: Évelyne Prioux, Pierre Ducrey (Director of the Fondation), Stephanie Dalley, Christian Loeben, Kathleen Coleman, Annalisa Marzano, Bettina Bergmann, Giulia Caneva, Robin Lane Fox, Rabun Taylor. The Fondation was created by Baron Kurd von Hardt. In his vision, the exchange of ideas among international scholars was crucial in order to advance knowledge. He described the Entretiens, first held in 1952, with these words: ‘Each year, at the Fondation’s home in Vandœuvres, the Entretiens sur l’Antiquité classique will be held, during which specialists from all over the world will speak about their chosen fields, and in the course of further discussions, will thus foster an enriching exchange of views’. The Fondation has a specialized library of almost 40,000 volumes and welcomes researchers who wish to stay in order to pursue their studies; research scholarships are available for young scholars. Our own PhD student Maria Lloyd was awarded one of these scholarships and will be going to the Fondation in October.